Ferry Deals Online Today & Save! Compare cheap ferries from Ireland, Scotland, Wales, Isle of Man, England and France today. Simply choose the date and destination to compare low cost fares. We are an independent Irish ferry comparison website! 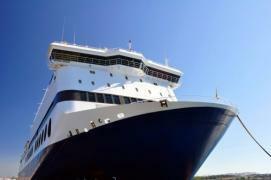 Compare cheap ferries online from Ireland, Scotland, Wales, England & France and save. Review great deals on European and International routes. 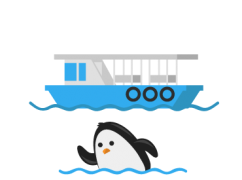 We feature and compare leading independent ferry providers to find you the best offers. Choose from a wide selection of European sailings and destinations, whether you’re planning a family holiday to France or a business trip to the UK you can find it here. Luxury cabins, premium lounges and express boarding may also be available. 1. Become familiar with the rules of the road, such as country speed limits, seat belts and headlight requirements. 2. Ensure you ask a qualified mechanic to service your vehicle before embarking on your journey, road safety is paramount. 3. We would highly recommend taking out a European breakdown assistance and travel insurance policy. 4. Don’t forget to bring the following documents; valid driving licence, passport & vehicle registration certificate. 5. And finally, always shop around for the cheapest ferry prices. Are you looking for the best ferry price comparison? Compare cheap ferry deals today. Enjoy a trip with a difference, whether you’re travelling by car, foot, coach, camper van or motorcycle, simply enter your destination and dates to view fantastic offers. Save time by pre-booking on board facilities such as cabins and meals before departure. Whether you are planning a shopping trip to the UK or a leisure break to France going by ferry is a quick, easy and a stress free way to travel. We have listed some of our most popular ships below from the following ferry companies; Irish Ferries, Stena Line, P&O Ferries, Brittany Ferries, Isle Of Man Steam Packet and Norfolk Lines. Our ferry fleet includes; Stena Line – Stena Horizon, Stena Line – Stena Express, Stena Line – Stena HSS Explorer, Brittany Ferries – Pont Aven, Irish Ferries – Oscar Wilde, Irish Ferries – Dublin Swift, Irish Ferries – Ulysses, P&O Irish Sea – Express & Steam Packet – Managuan. Popular ferry routes include: Dublin to Holyhead, Rosslare to Fishguard, Dublin to Liverpool, Rosslare to Cherbourg, Larne to Cairnryan, Dublin to Cherbourg, Rosslare to Pembroke, Dublin to Douglas, Rosslare to Roscoe, Holyhead to Dublin, Rosslare to Saint Nazaire, Belfast to Liverpool Birkenhead, Liverpool to Dublin, Belfast to Cairnryan, Fishguard to Rosslare & Liverpool to Belfast. Ferry quotes are provided and administered by Direct Ferries. Please note that payment is collected in the name of Direct Ferries.